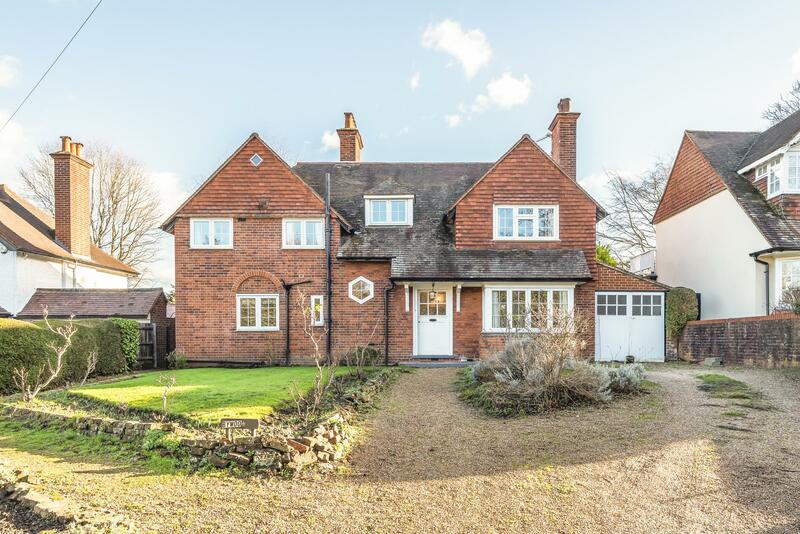 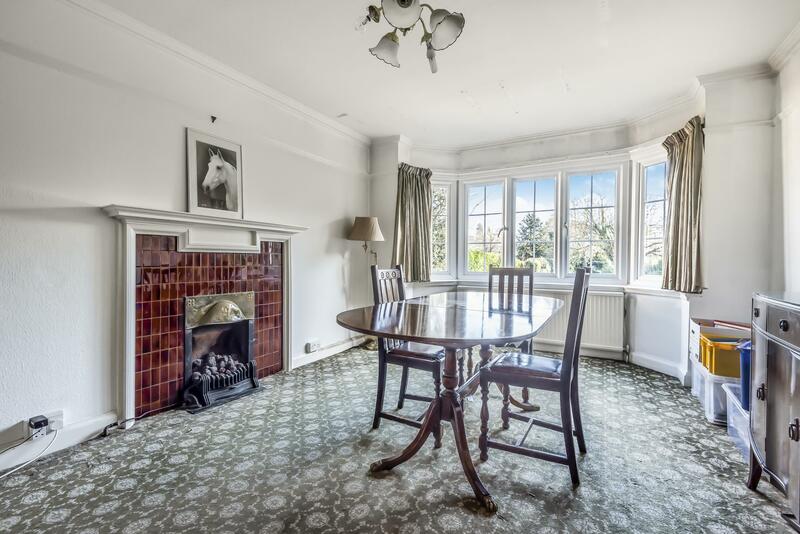 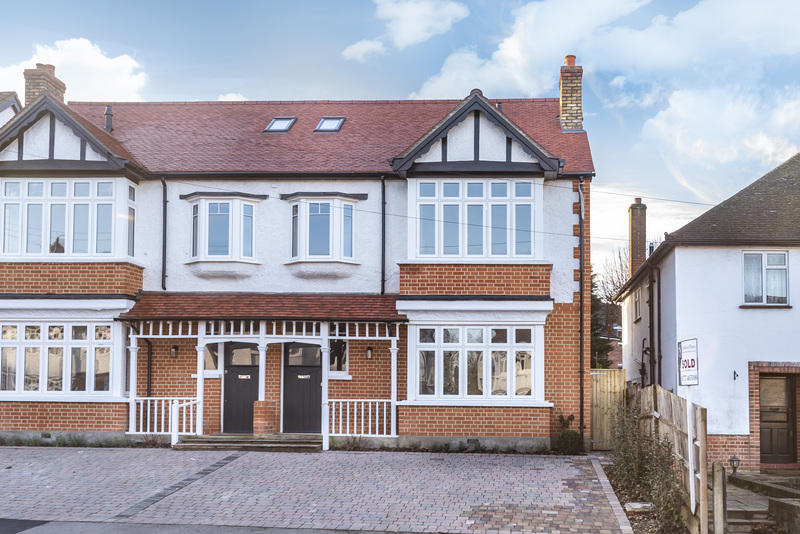 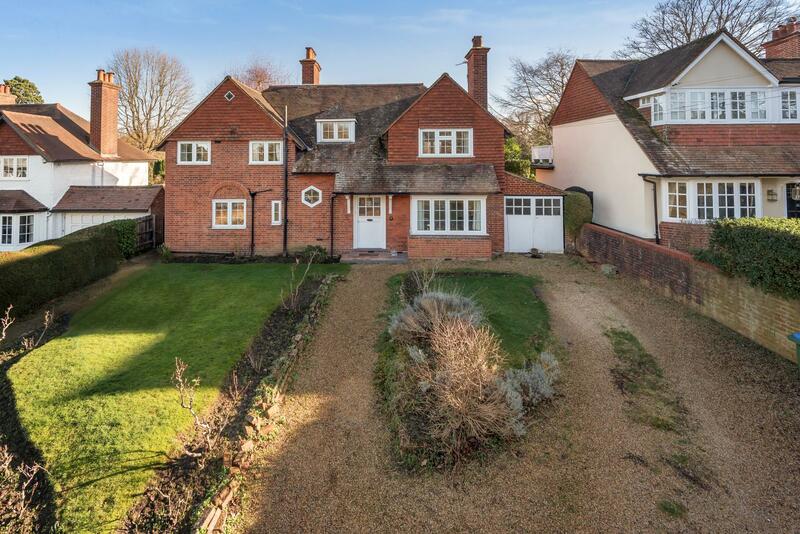 Bywood is a most appealing double fronted detached 1920's red brick character home. 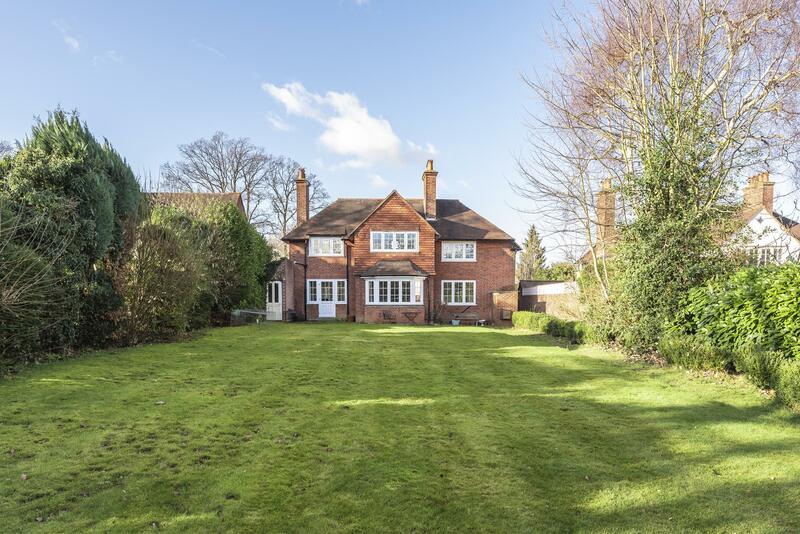 Set in one of Esher's most sought after locations in a semi-rural lane just 300 yards from direct access into Arbrook Common. 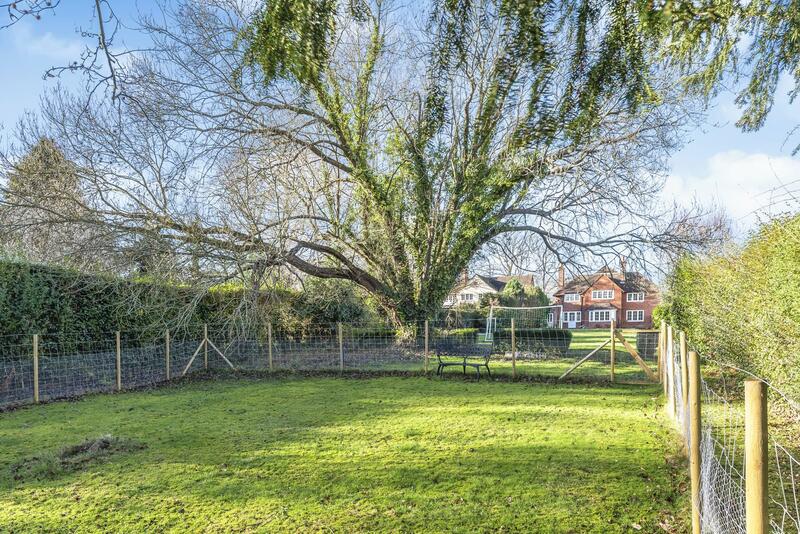 The house is set on a half-acre plot backing onto farmland with the rear garden extending to 330ft in depth. 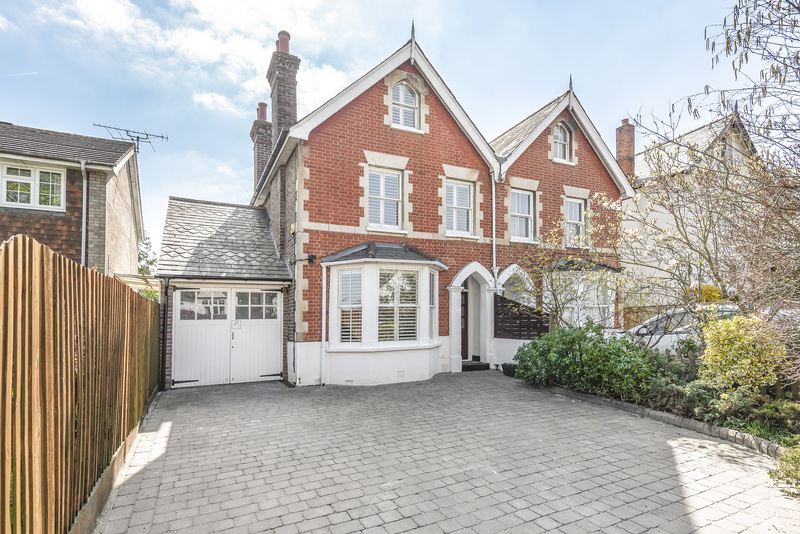 Coming to the market for the first time in over 40 years it has changed little over those years and now offers a tremendous opportunity for a purchaser to remodel, improve and extend if desired to create a fabulous family home for the long term future. 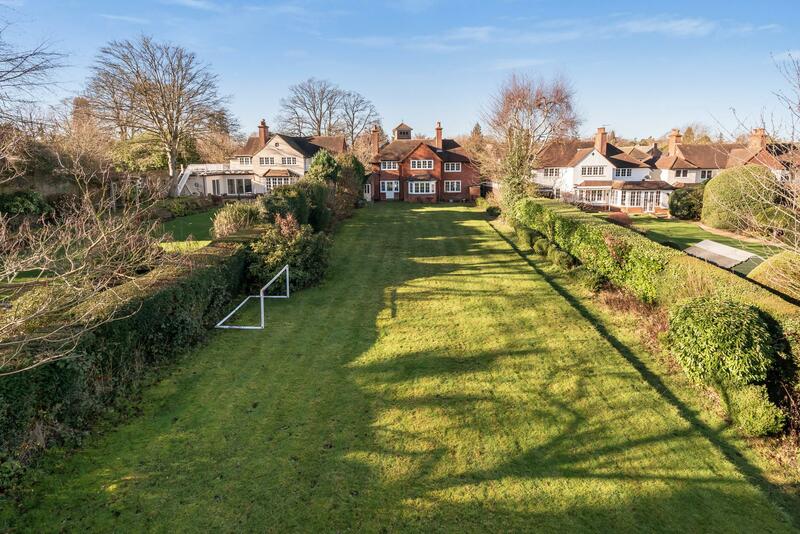 Claygate mainline Station (Waterloo approx. 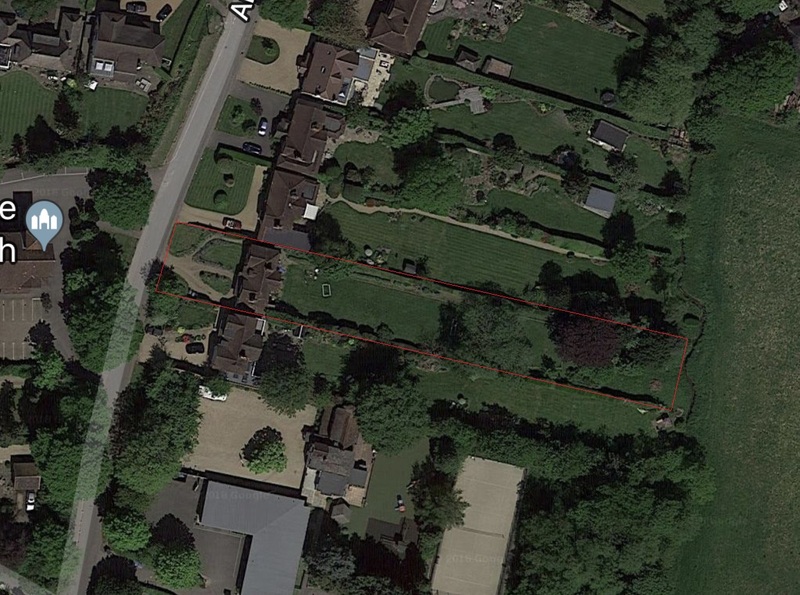 35 mins) is just 0.6 of a mile away as are the excellent local shops in the village. 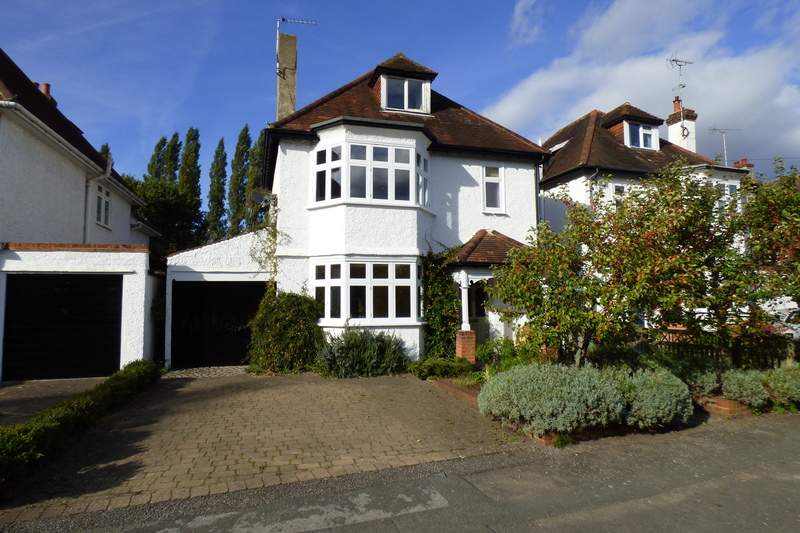 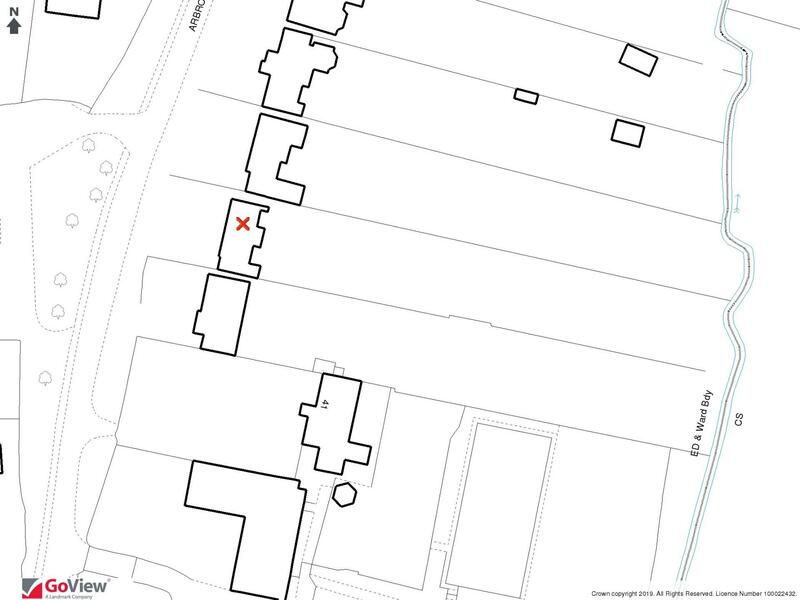 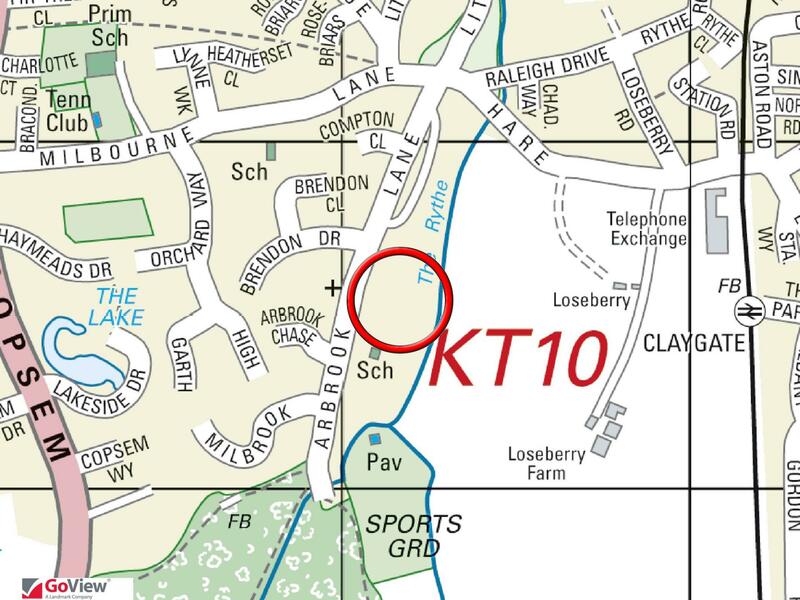 Esher town centre and High Street is just under a mile from the house. 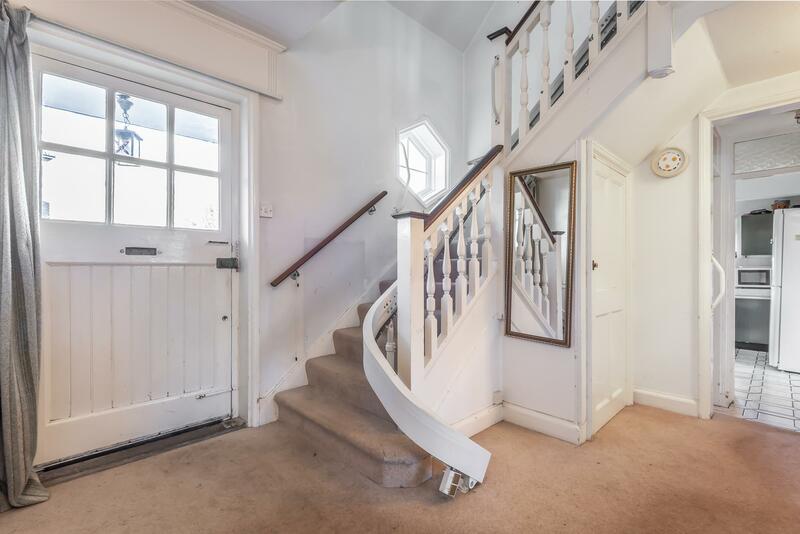 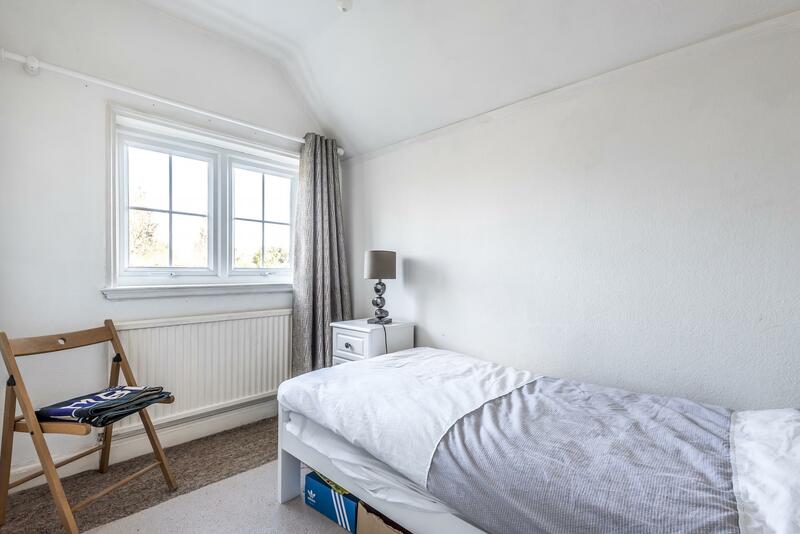 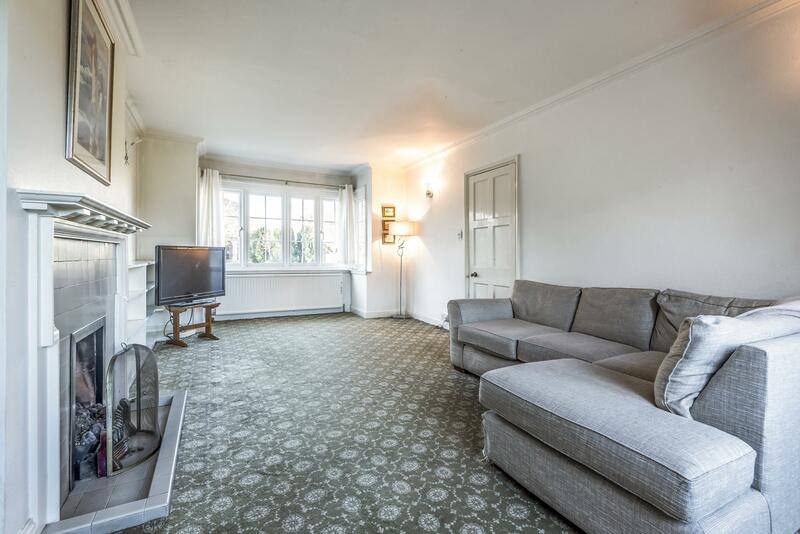 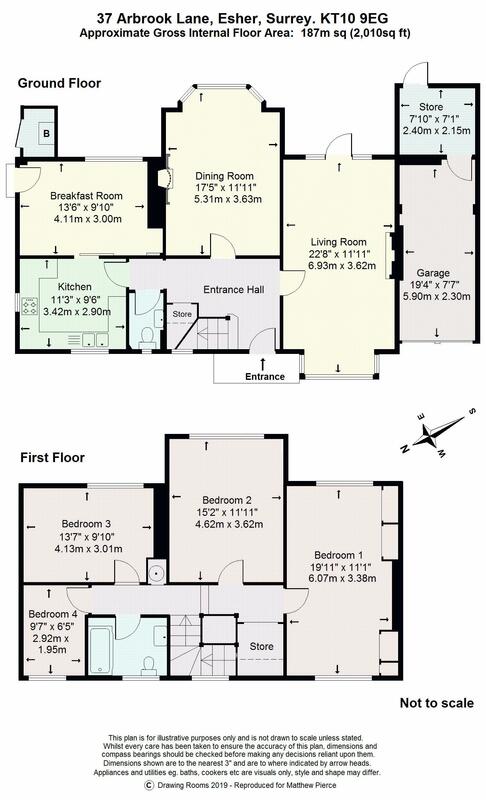 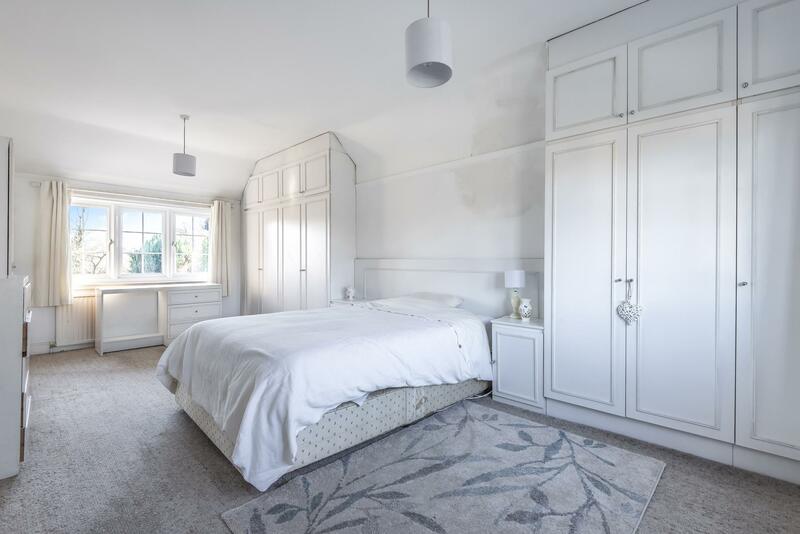 The property provides accommodation over two floors with a double aspect living room, dining room, kitchen and breakfast room on the ground floor; upstairs there are four bedrooms and a family bathroom. 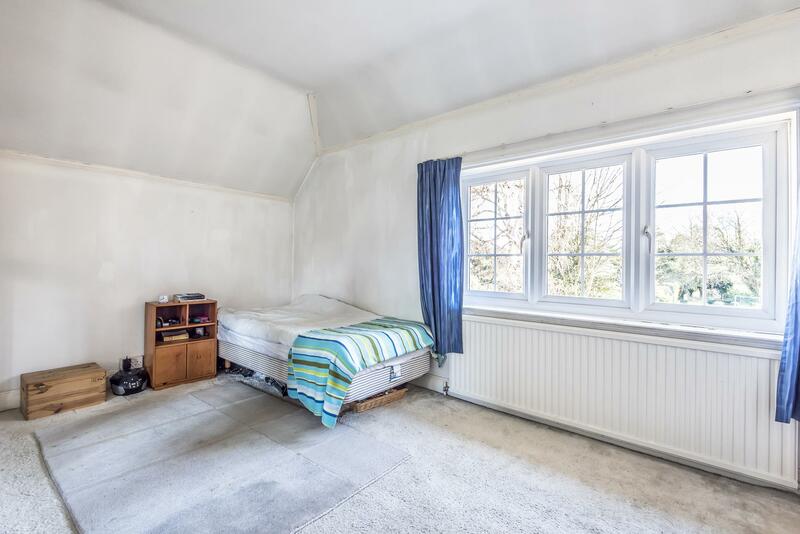 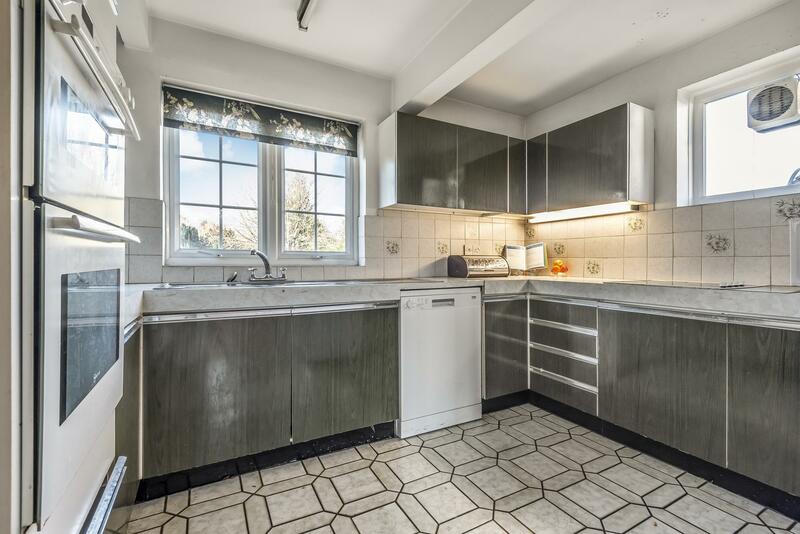 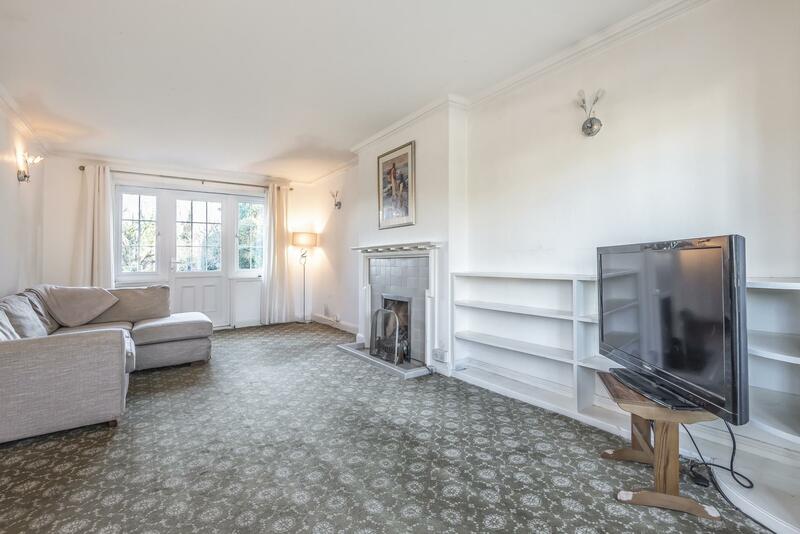 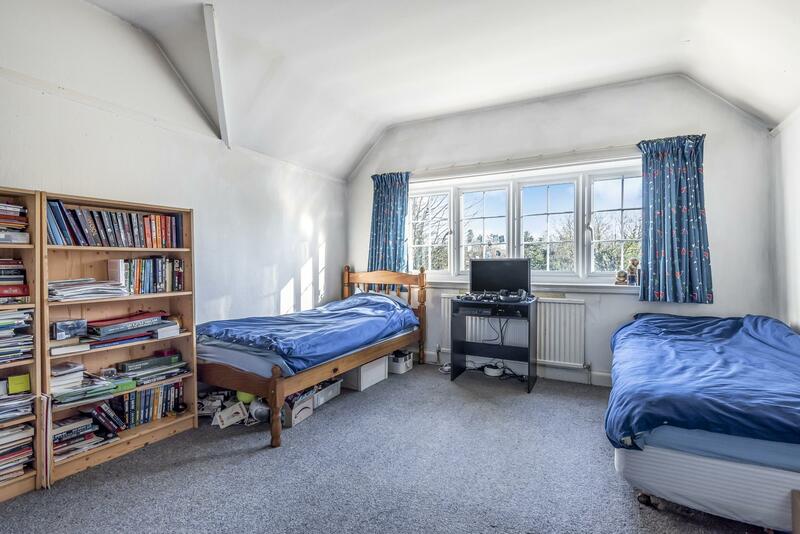 The house requires modernisation and updating by present day standards yet is perfectly habitable with double glazing and central heating throughout. 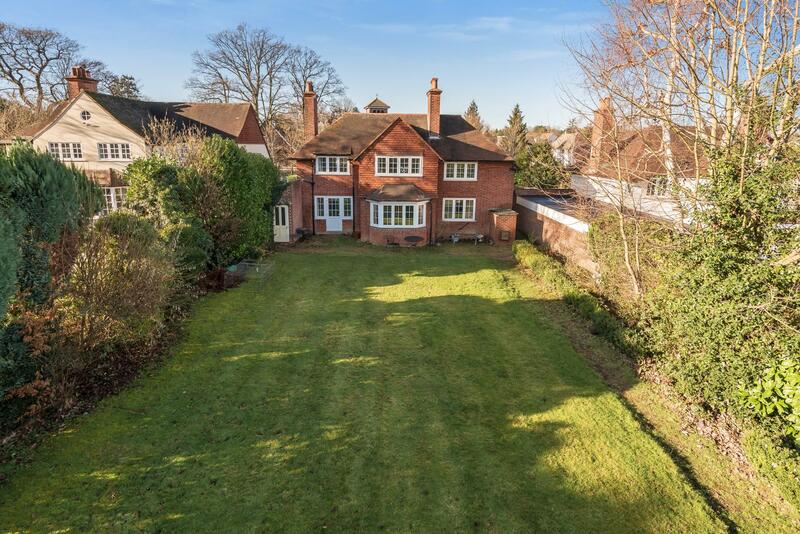 The gardens have been very well maintained; the deep frontage with a gravelled driveway and lawned areas has ample space for car parking and access to the attached garage. 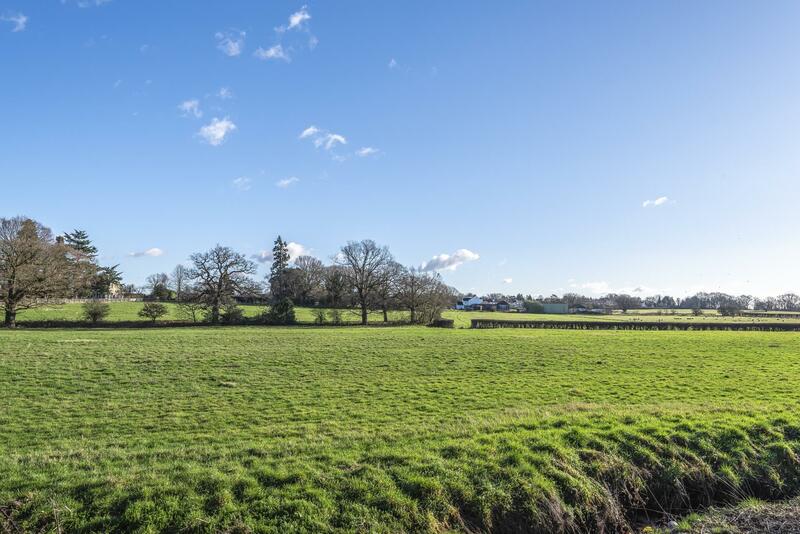 The stunning rear garden is predominantly lawned with bordering hedges and shrubs; the last part of the garden is partially wooded and adjoins the Rythe stream, beyond which is open farmland, which provides a fabulous back drop to the property with a delightful open aspect.